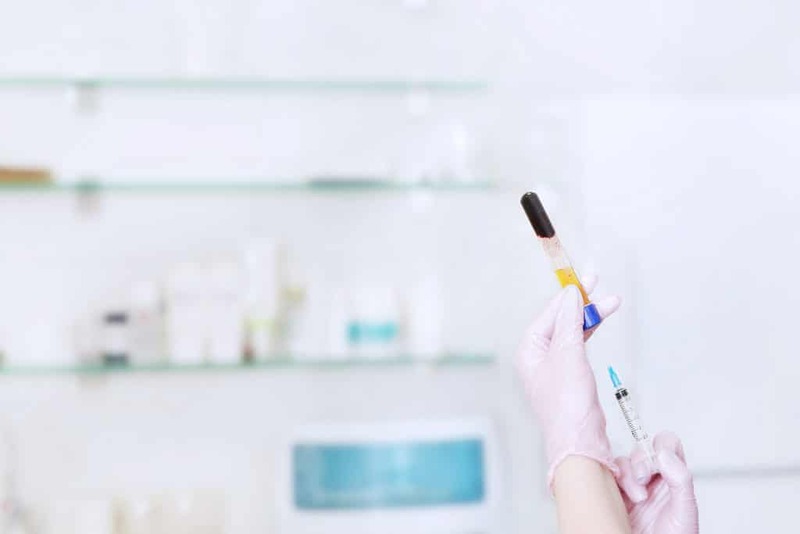 What Is a PRP Injection? PRP stands for platelet-rich plasma. Platelets are blood cells that have many jobs including clotting and promoting healing. PRP injections are used to speed up healing to injured ligaments and tendons. It uses a concentration of platelets taken from the patient’s body. Then, they are injected into a specific site, to advance healing. Several blood samples will be taken from the patient, which are used to separate the platelets needed for the treatment. These platelets are then injected to stimulate growth and repair the cells in the targeted area. PRP has gained more public awareness primarily due to high profile athletes that use it to recover from sports injuries and chronic pain as quickly as possible. L.A. pitcher, Garrett Richards used PRP injections to combat a ligament tear so he could avoid Tommy John’s surgery. Golden State Warriors superstar Steph Curry used PRP to treat a sprain in the 2016 playoffs. Isaiah Thomas of the Celtics received a PRP injection for a groin strain and Angel Pagan of the San Francisco Giants received the same treatment for patellar tendonitis. PRP has become a viable solution in sports medicine for high performing athletes looking to recover from injuries as fast as possible. A patient may have to have their blood drawn several times. Once the blood is collected, it is placed in a centrifuge. The centrifuge spins at intensely high speeds to separate the platelets from the rest of the blood. The speed causes the blood to separate into three layers: red blood cells which fall to the bottom, white blood cells and platelets fall to the middle, and the platelet poor blood comes to the top. Doctors then remove the platelet rich portion of blood. This blood is prepped for injection which is then given to the patient. Since the procedure uses the patient’s own blood, there are normally very few side effects. Unlike a blood transfusion or organ donation where someone else’s blood or body part is transferred to the patient creating an opportunity for the patient’s body to identify the new blood or body part as foreign and attack or reject it, the patient’s own blood and platelets are used which eliminates these possible complications. Mild side effects that have been reported include mild nausea, dizziness and fainting. Very few insurance companies provide even partial coverage or reimbursement for PRP treatments. This means that most patients will have to pay for this procedure entirely out of pocket. While each case is different, platelet rich plasma injections generally range from $500 – $2,000. The cost of PRP reflects the time and steps required to harvest the blood components, separate the platelets and perform the injection as well as any needed follow up care. The total expense can vary dramatically depending on the doctor, facility and the number of injections needed. When Can Prp Help You? Chronic tendon injuries –While chronic injuries may be treated with replacement surgery, this may result in less mobility and scar tissue. The concentration of platelets in PRP may stimulate cell growth factors and healing when dealing with theses types of injuries. Post surgical wound healing –After surgery, your soft tissues and tendons can benefit from an injection of PRP. Osteoarthritis Pain –More and more people suffering from osteoarthritis are turning to PRP for relief. These injections may help relieve pain and improve joint function. Preventing hair loss –PRP has been injected into the scalp to prevent inflammation that may cause hair loss. Ultimately, PRP injections are beneficial in limiting inflammation and stimulating healing. Platelet-rich plasma may have the ability to dramatically improve your quality of life. Consult our qualified medical team to determine if you are a good candidate for PRP injections. Since PRP can be used for a wide array of ailments and injuries, it is important to discuss your specific circumstances and expectations with a licensed professional. At Arizona Pain and Spine Institute, our team of experienced professionals can answer your questions and help you decide if PRP therapy is right for you. Contact us today!